The design of Marshall's Pen Great House features Spanish walls and louvre windows. It is a sturdy square building with a gabled red roof. 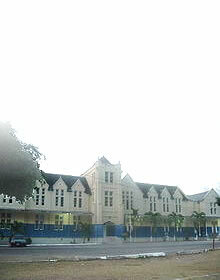 There have been additions to the main building but these have not compromised its integrity. The outbuildings are made of cut stone and one of them boasts an outstanding stone chimney. The coffee storage house has been converted into a quiet cottage. A modern upper floor has been added and a walkway constructed across the barbecue, which still stands providing evidence that the property been engaged in the production of coffee. To the east of the barbecue is the former coffee mill, and the central port of the old wheel is still in position. 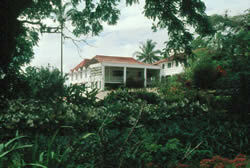 The coffee factory has been converted into a guest-house, the upper floor having been converted into bedrooms for visitors who go there for 'eco tours', in particular, bird watching. 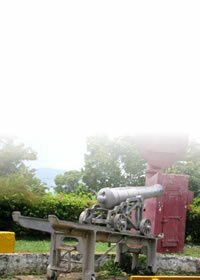 Marshall's Pen Estate dates back some two hundred years to the first Provost General of Jamaica. It was originally a cattle property, hence its name. 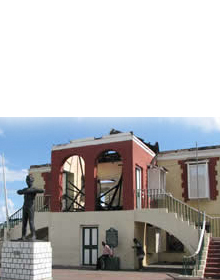 In 1755, the property was purchased by the Earl of Balcarres who was then Governor of Jamaica. In 1853, the property was purchased from the Earl of Balcarres by the Muirheads. It stopped producing coffee about 1838 when coffee came under stiff competition from Brazilian coffee. It was then sold to the Suttons in 1939. The property is presently owned by the Suttons. Marshall's Pen is also rich in archaeological significance as it was once a Taino site.